Milan, Verona, Venice & more! 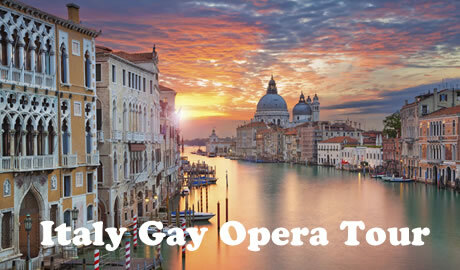 Join Italy Gay Travels on a not-to-be-missed Tour of the worldwide Gay Opera Capitals: Milan, Verona and Venice. Our Gay Opera Tour will start from Verona, one of the most fascinating yet less known cities in Northern Italy. The city hosts the best preserved open-air Opera theatre in the world, the Arena. After, we will head into Venice, the charming city on everyone’s Romance list that will fascinate you with its regal history and architecture. We will end our Gay Opera Tour in the Fashion Capital of Italy, Milan of course, where we will discover the amazing history of the city. 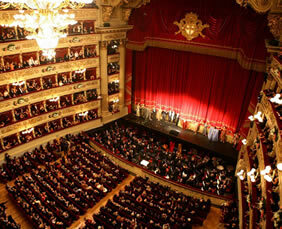 We will enjoy its exuberant gay nightlife and spend a night at La Scala for an unforgettable Opera night. A day trip exploring Como and its lake is without a doubt a highlight on this tour. 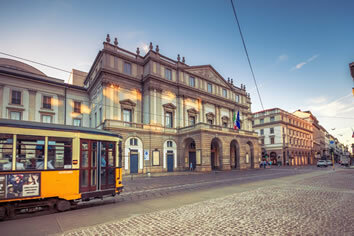 On this Gay Opera Tour you will have the opportunity to meet like-minded gay men from all over the world, as well as discover some of the most beautiful cities in Italy in a friendly, familiar, safe environment. You will also have free time to do what you like the most, shopping anyone? Welcome to Verona. Famous for the setting for Shakespeare’s Romeo and Juliet, this enchanting city of the Veneto region has gained UNESCO status for its collection of monuments from eras dating back to the 1st century BC. We will meet for a Welcome Aperitif: This is our opportunity to meet each other and have a full briefing on the theatricals that lie ahead. 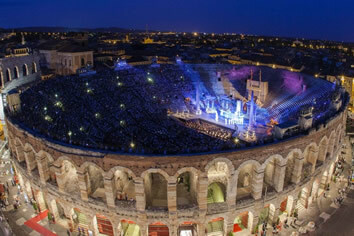 Tonight it’s Opera time: you will enjoy a magnificent Aida at the Verona open-air arena. Free time in the morning to make the most of the city. Relax, enjoy some shopping or just some me-time in one of the most romantic Italian cities. In the afternoon, our Gay Opera Tour undertakes the Romeo and Juliet “experience” with a private guide. Meander through the streets, squares and bridges of Verona in the words of the great Shakespeare. 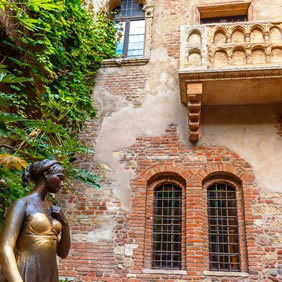 Visit Juliet’s tomb, Romeo’s house, and Juliet’s balcony. Get the true sense of the historical background of the legend. Not stopping there, we will also explore the palaces and places of the Scala family, rulers of Verona at time of the Romeo and Juliet romance. In the evening you will enjoy a complimentary Welcome Dinner on us. After breakfast, we take a train to reach the second destination of our Gay Opera Tour: Venice. After checking into our accommodation, do as you please: this is a free day to explore the iconic city of Venice at your own pace. 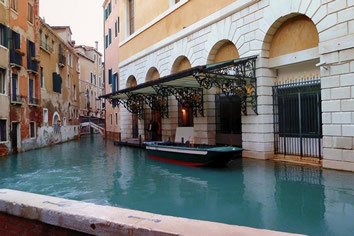 After breakfast, we take a private walking tour of the enchanting city of Venice. We will explore San Marco Square, as well as the typical narrow alleys and over stone footbridges characteristic of the city. Discover the sordid secrets and thrills and spills of Venice. Get ready in the evening for an amazing representation of Don Giovanni by Mozart, at the spectacular La Fenice theatre. After breakfast, we will take the High Speed Train to our last Italian destination: Milan. Milan, the Fashion Capital of Italy! After lunch on your own, fully fueled, we take a private guided tour following the path of Leonardo Da Vinci. Rediscover the iconic artist who has left his footprint the world-over with his many masterpieces. In the evening join us for a typical dinner in the city. After breakfast we will head to Como for a tour of the city and its lake. Our exclusive Gay Opera Tour allows a relaxed pace to take in the picturesque landscapes and beautiful landmarks of this city. Enjoy ‘la Dolce Vita’ among villas of delight and gardens. We will take the ferry in Como and discover the lake and amazing villas around it. Enjoy a delicious typical lunch by the lake with incredible views. At the end of the tour, we will make our way back to Milan and get ready for a delicious Pizza Dinner near Porta Venezia, the gay area of the city. An escapade of Gay bar hopping will end the evening nicely: the first drink is on us! After a hearty breakfast the Gay Opera Tour embarks on a guided tour of the best-known sights of Milan. 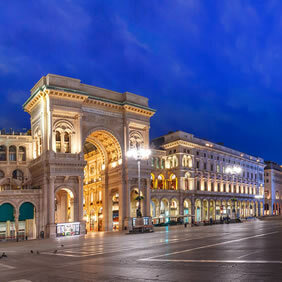 Starting in Duomo Square, we will have the opportunity to visit Milan’s Cathedral a Next off is a stroll in Galleria Vittorio Emanuele before making our way to the Sforza Castle. Enjoy lunch and stroll around Milan at your own pace for the rest of the afternoon or if you prefer, you can join Italy Gay Travels for a walking tour exploring areas of Milan, such as Navigli and Isola. The rest of the afternoon will be free to relax and do as you please, this is a good opportunity to do a spot of shopping, Milan darlin, Milan! In the evening we will meet at La Scala Theatre, where we will have a night enjoying the last opera included in the tour: I Masnadieri, one of Verdi’s masterpieces. fly out from Milan (MXP, or LIN). En suite rooms in 3/4 star Hotels and B&B. 7 breakfasts and 3 dinners included. This tour is accessible to anyone. There will be a full briefing on the first day. You will have 24/7 support throughout the tour. You will be provided with an assistance number you can call us at any time during your stay.